Arianespace announced today that ISIS – Innovative Solutions In Space – has joined the group of customers who have signed contracts to launch payloads on Vega’s Small Spacecraft Mission Service (SSMS) Proof Of Concept flight (POC flight) in early 2019. ISIS’ small satellites will be orbited on Vega from the Guiana Space Center, Europe’s Spaceport in Kourou, French Guiana. The contract was signed with ISL – Innovative Space Logistics B.V., the launch services subsidiary of ISIS. This agreement includes a QuadPack deployer for multiple CubeSats on the Vega SSMS POC flight, along with options for several microsatellites and more QuadPack deployers for the SSMS POC mission – as well as for subsequent Vega SSMS launches. ISIS is a leading company in the small satellite market. Founded in 2006, it specializes in realizing innovative turn-key small satellite missions – including launch and operations. ISIS designs and delivers small satellite platforms for single missions and constellations, either standardized or optimized in performance and size tailored to the needs. Through its ISL launch services subsidiary, ISIS has launched more than 270 small satellites of various sizes. 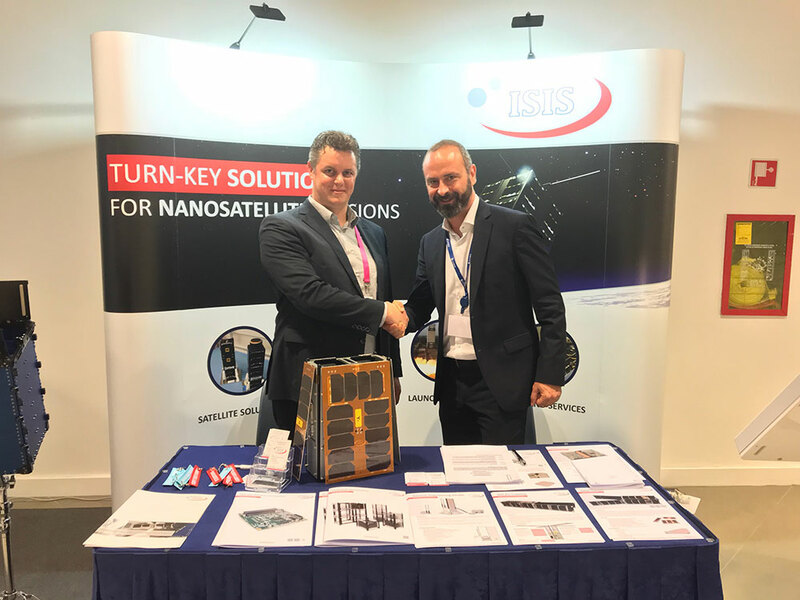 The small satellite launch services covered by the ISIS agreement with Arianespace opens the way for more intense future collaboration between the two companies in launching clusters of small satellites integrated by ISIS through Arianespace. The Vega Proof Of Concept flight is the first mission of the Small Spacecraft Mission Service (SSMS) program initiated in 2016 by the European Space Agency, with the contribution of the European Commission. For all the European partners involved, its purpose is to accurately address the promising “New Space” microsatellite market with a new rideshare concept on the Vega light-lift launcher. Vega is part of the Arianespace launcher family, alongside the Ariane 5 heavyweight launcher and the Soyuz medium-lift vehicle, operated from the Guiana Space Center. The Vega industrial prime contractor is Avio, based in Colleferro Italy.